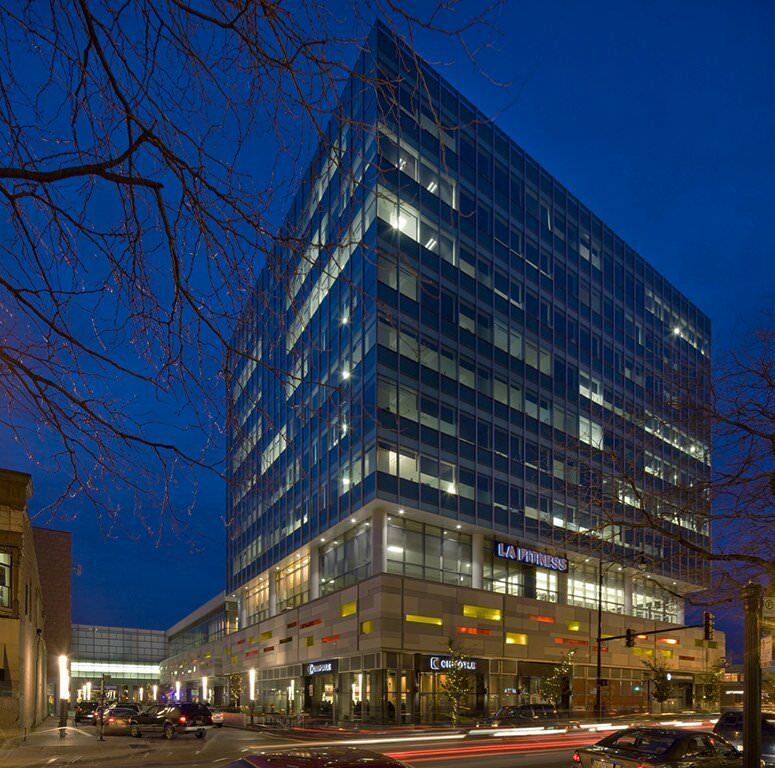 Harper Court is an urban mixed-use development that has revitalized a key commercial corridor in Chicago’s Hyde Park. 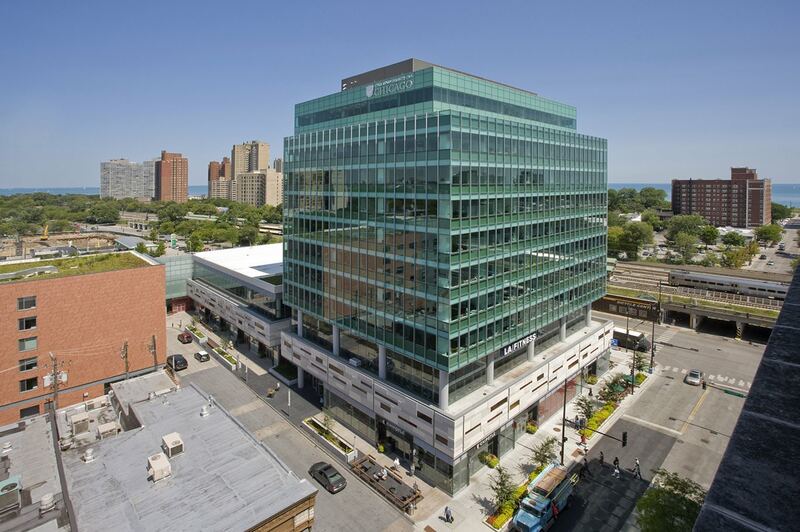 Devised by a public-private partnership between the City of Chicago and the University of Chicago, the project melds a diverse blend of uses: a 12-story, 178,000 SF Class-A office tower; more than 80,000 SF of retail space housing a mix of local and national outlets; and structured parking for 518 vehicles. A 131-key Hyatt Place Hotel, developed by a separate project team, completes the complex. 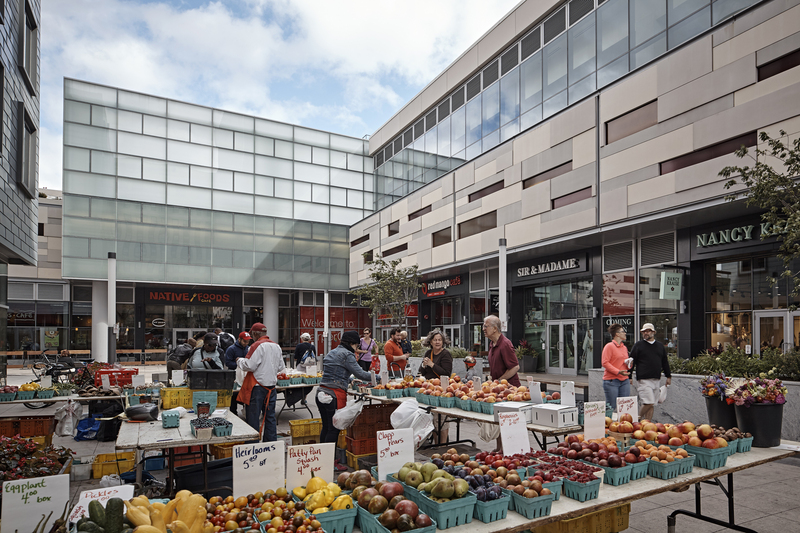 The site plan organizes the development around a new internal roadway called Harper Court, which brings vehicular and pedestrian traffic to retailers and the commercial components. 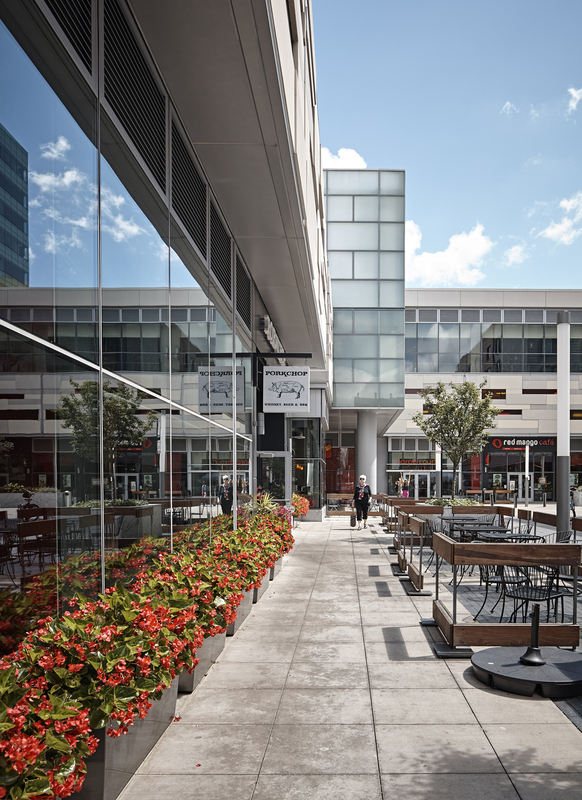 The plaza setting provides public space for outdoor dining and open-air community events. 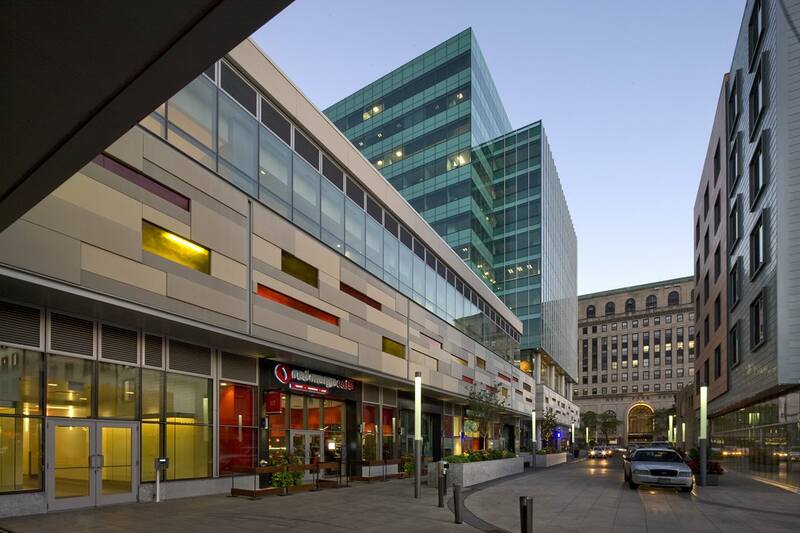 Among the first in the nation to combine all four LEED designations, Harper Court’s sustainable features include a high-performance building envelope, a rainwater collection system, district-energy mechanical systems, and recycled and local content.